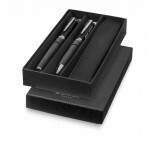 Promotional Gift Sets by Magellan World are the perfect high end gift for any client, we bring you a high quality product that is guaranteed to make a great impression on you and your client. 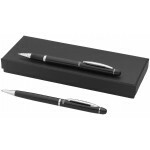 Our Corporate Promotional Gifts sets are full of Executive Business Gifts, Corporate Gift Items and Business Promotional Gifts. 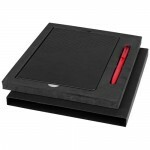 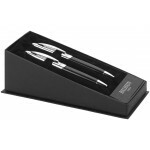 Magellan have a wide range of pre-made Promotional Gift Sets, these are brilliant for any client and are listed below. 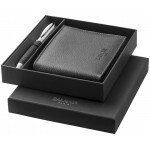 If none of the Promotional Gift Sets below are suitable for you then contact us and we can produce a custom set for your needs! 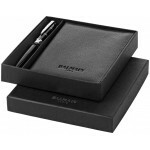 Promotional Leather Notebook and Pen Gift Set with contrast stitching detail imitation leather pocke.. 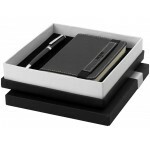 Promotional Nebula Notebook and Pen Gift Set with a flex cover notebook (80 sheets/80gsm lined cream.. 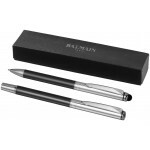 Promotional Vincenzo Stylus Ballpoint Pen Set including a stylus ballpoint pen and roller ball pen.B.. 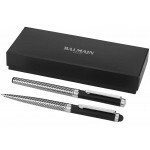 Promotional Metal Pen Gift Set. 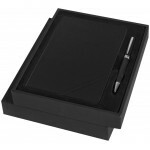 The perfect way to get your name etched into people's minds, this ex.. 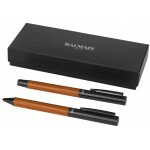 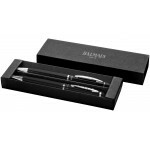 Branded Ballpoint Pen Gift Set, ballpoint pen and roller-ball pen set presented in a Balmain cardboa.. 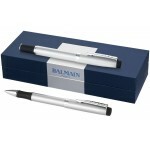 Promotional Navy Ballpoint Pen Gift Set consists of a ballpoint pen and roller-ball pen with soft to.. 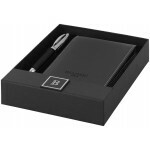 Promotional Stitched Notebook and Pen Gift Set, this timeless pen set with ballpoint pen and noteboo.. 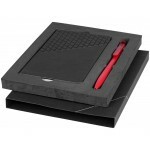 Promotional Ballpoint Pen Gift Set contains an exclusive ballpoint and roller-ball pens in a matchin.. 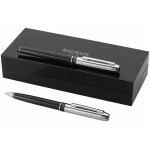 Promotional Pacific Duo Pen Gift Set featuring a stylus ballpoint pen and roller ball with premium b.. 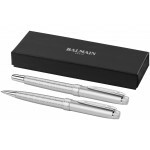 Promotional Pair Ballpoint Pens Gift Set, this exclusively designed pair of ballpoint and roller-bal..